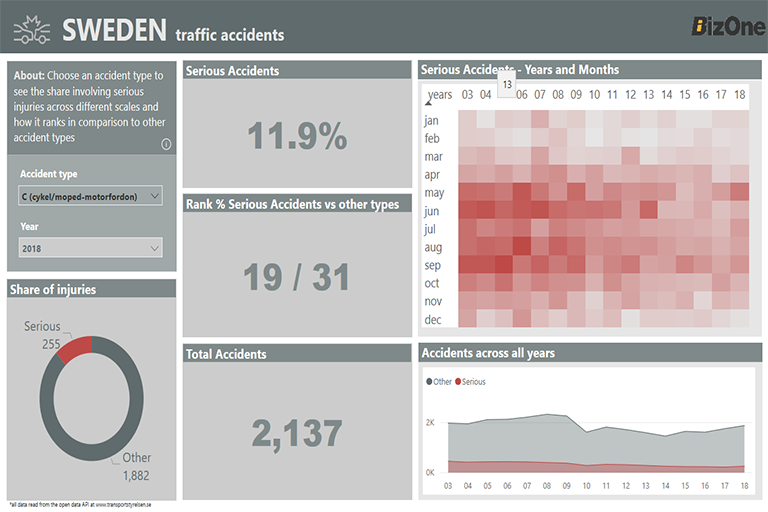 BizOne's solution allows the user to explore traffic accident data in Sweden from 2003 until present. 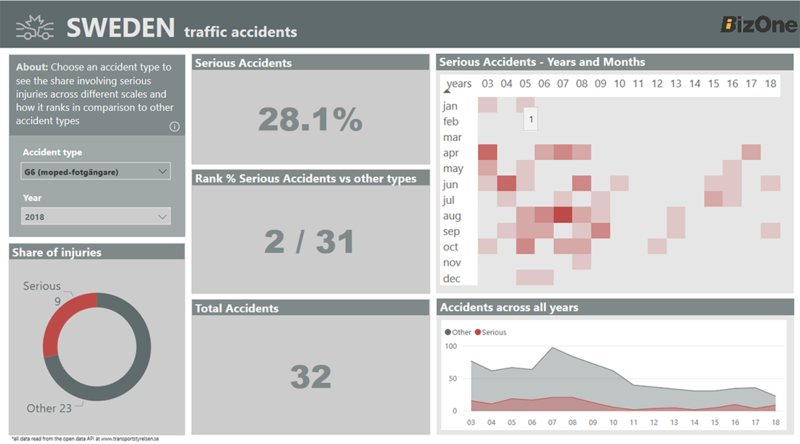 The reports break down accidents into 3 major categories: level of severity, type of accident, and regional ranking. 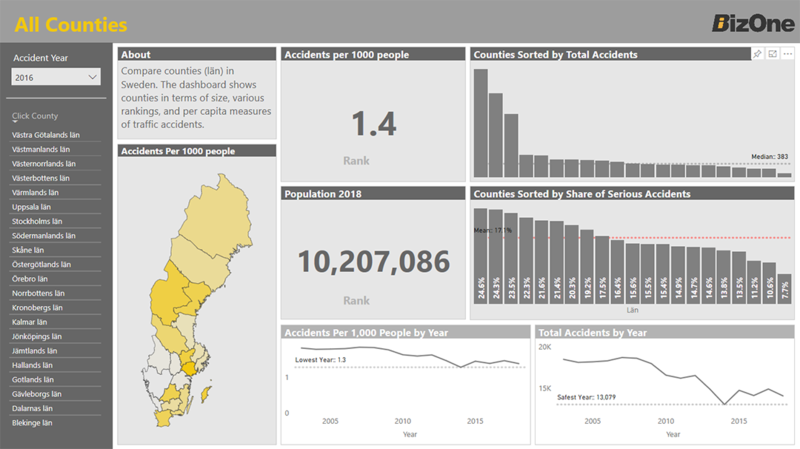 Total traffic accidents have decreased over the years in Sweden since 2003. 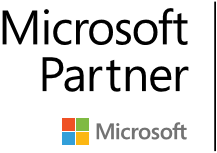 The goal is to track the change in numbers by categories such as type of accident, time of year, and location (county). This allows one to either assess traffic measures already in place, or to pinpoint areas for future planning. 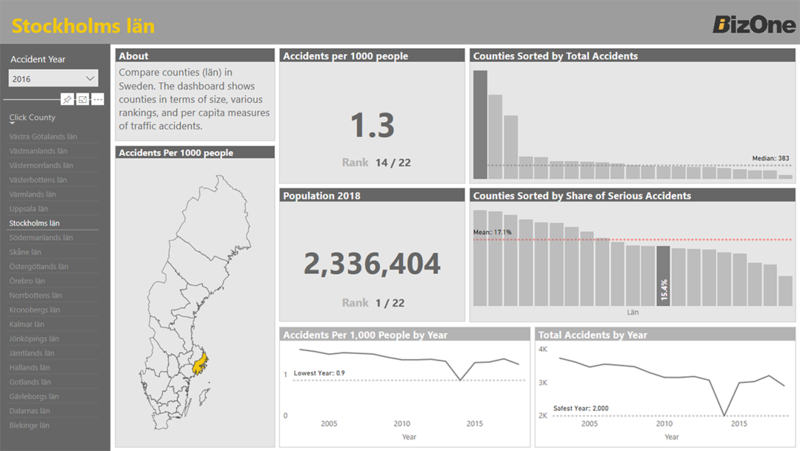 The dashboards make use of relative and absolute ranking of measures to provide context to the user.